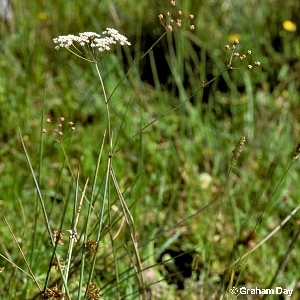 A relative of caraway (Carum carvi), but this species is an Irish native plant and has no culinary or herbal uses. 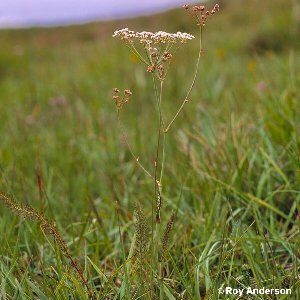 It occurs in marshy ground in a few places in north Antrim and the northern part of Co. Londonderry. The leaves are finely divided with the segments arranged in whorls (rings) around the main leaf midrib.